← NFU claims badger cull is working; Defra continue to “revise” their bTB figures, downwards. While we wait to hear whether Brandon Lewis will decide to call in the planning permission granted by Medway District Council for the new town on Lodge Hill, another District Council planning committee, this time in West Dorset, has decided to approve the development of a Solar Farm on one of the largest areas of wildlife-rich acid grassland in England. You may recall I have written on a number of occasions about Rampisham Down and the tale of the Solar Farm development – here, here and here, for example. The site was well known as a County Wildlife Site, but proposals to develop it as a solar farm, provided the evidence that it was SSSI quality and Natural England duly notified it. British Solar Renewables, the developers, have argued that their new solar panels with windows in them, will mean enough light can pass through the panels so there will be no impact on the grassland communities underneath. They even employed some ecological consultants to do some experiments to look at whether there were any changes. After as many as six months monitoring, they decided there was no change and the panel windows worked. Natural England were entirely unconvinced and said so in their objection letter. Today British Solar Renewables made their case to the West Dorset District Council planning committee. Professor Ghillean Prance, former director of Kew Gardens, was their star witness. He explained that he had written hundreds of papers and many books and therefore when he said that the site was “degraded, impacted habitat” I expect he thought the Councillors would feel he must be right. He explained that the shading experiments were terribly valuable and have a significance “far beyond Rampisham”. He explained that the translucent panels greatly reduced any effect on the vegetation, and even this little effect could be mitigated through grazing by sheep. Then there were several speeches supporting the development from local councillors. They thought anything would be better than the transmitting station with its enormous masts, which had dominated the landscape of that part of West Dorset for 70 years. One councillor suggested that the site could not be unimproved grassland because she knew that part of it had been sprayed with herbicide, and another part fertilised. And she’s right, parts of the site show evidence of agricultural improvement, but large areas of the site are unimproved. She also suggested that without the solar farm, the site would “go to scrub”. Now there’s nothing to put the fear of god into people than raising the spectre of Scrub is there? It’s like invoking some sort of vegetal demon. Of course, since the site is SSSI, it’s unlikely to go to scrub, unlike the bad old days, because Natural England has powers to enforce management, under the CROW act. Natural England did point out this fact, in vain. Many councillors and others repeated that because it was a brownfield site, it should therefore be developed. 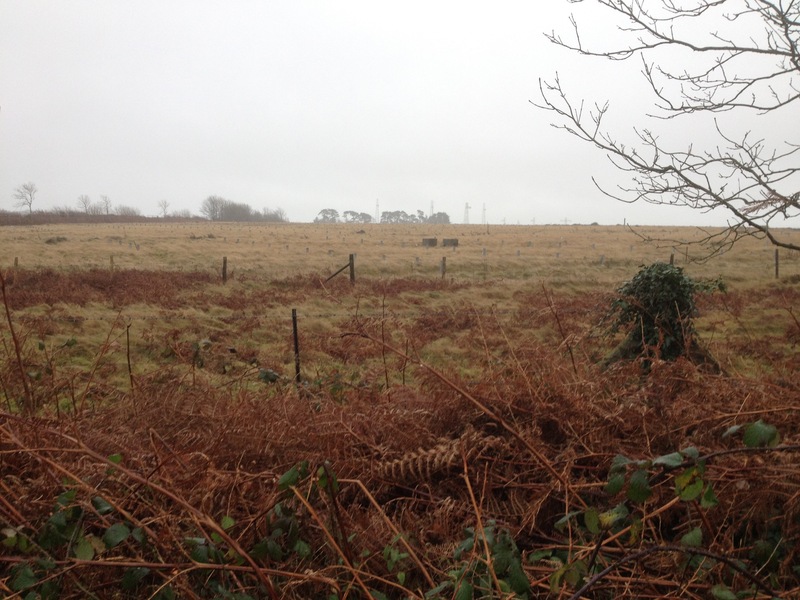 The planning officer for the case, repeatedly reminded the councillors that the NPPF was very clear, that the presumption in favour of development on brownfield sites did not apply if they were SSSIs, to no avail. Natural England have rightly argued that most of the site is not brownfield, but semi-natural grassland. This has fallen on deaf ears. NE notified the site because the applicants own ecologists collected data which showed how important the site was. So, despite Natural England’s evidence and despite a very comprehensive assessment of the planning situation from the West Dorset Planning Officer, the planning committee unanimously approved the application. The Planning Officer explained to the planning committee that there is a 21 day deadline for Natural England and others to apply for the planning permission to be called-in by the Secretary of State for Communities and Local Government, Eric Pickles. This is what needs to happen now. If you think all this sounds familiar – that is because it bears some similarities with the situation at Lodge Hill in Kent. Both are formerly defence infrastructure sites, both support large areas of unimproved grassland; both were notified as SSSI under threat from development; and both have had planning applications approved which would result in the destruction of a large part of each site. The difference is that Lodge Hill has Nightingales on it – Rampisham was notified for its flowers. This entry was posted in Eric Pickles, Lodge Hill, Military Land, Natural England, public land, Rampisham Down, Solar Farms, SSSis, Uncategorized and tagged Development, Lodge Hill, Natural England, Rampisham Down, Site of Special Scientific Interest, Solar Farms. Bookmark the permalink. What can we do Mike? Can we write and ask for this decision to be called in? That must happen! Especially considering the parallels with Lodge Hill. One sets the precedent for the other. Thank you for this informative blog on the subject. Thanks Catherine. I understand that Dorset Wildlife Trust are going to launch a campaign for Rampisham Down and I imagine this will include a mechanism to enable people to contact the Government ask for the permission to be “called in”. I will post something on my blog as soon as I hear of progress. It disappoints me to see people describing themselves as environmentalists with a narrow view of the natural world and our part in it. Maximizing biodiversity is important and unimproved grassland is a delight to experience but to think of this plagioclimax as pristine and natural is incorrect. The only genuinely vital ecosystem in the UK is ancient woodland and I would far rather see large areas of grassland or heathland develop through scrub to natural woodland (the true UK climax and the most biodiverse). Furthermore, if we don;t switch to 100% renewablle electricity generation pretty quick, the resultant climate change will wreck any chance of maintaining any of the natural landscapes we are used to in the UK. The proposal for PV at Rampisham look to be a sensible use of the land there and I have to say Miles and Catherine, I think you to be naive. Did anyone suggest that the grassland at Rampisham was pristine or natural? I certainly didn’t. I don’t know what you mean by “genuinely vital” as a descriptor for ecosystems – it’s not something I recognise. Ancient woodland is actually no more “natural” than unimproved grassland or heathland. All ancient woodlands in Britain have been managed intensively throughout their history (until the last 60 years) and this management has fundamentally altered the communities of species that occur in these woods, relative to what would have occurred in “natural” woodland. Indeed “ancient” in this context only means they can be traced back to 1600. I would suggest the grassland at Rampisham down has been there at least that long. But there are no natural landscapes in England or Britain – there haven’t been for many centuries. The impact of climate change on wildlife in Britain is unclear overall, but what is known is that by protecting places like Rampisham Down we will give that wildlife a better chance of survival. Actually I would also be very happy to see large areas of grassland develop through scrub to woodland – though how natural that future woodland would be is a more philosophical than ecological question. But I would not be happy to sacrifice the tiny area (just 100,000ha in England) of surviving wildife-rich grassland to see this happen. There’s over 3 million hectares of improved and semi-improved grassland in England – so there’s no need to lose the tiny remaining areas rich in nature. The truth is that humanity faces a number of critical threats to its continuing existence on the planet – this research suggests the number is Nine. One of these is climate change. But it’s only one and may not even be the most critical. We collectively have to tackle all nine of these threats. Just going after climate change and leaving everything else to do later will not solve our problems. Thanks for providing such a detailed account of the situation. Maybe the current troubles with the dairy industry will provoke some diversification whereby already improved agricultural land could be utilised to supply renewable energy without sacrificing remnants of biologically diverse habitats. @kwheatongreen – There is no such thing as a ‘climax’ in a cyclical system. The idea of woodland as the final point in the succession of an ecosystem is a common misnomer. I would recommend researching Franz Vera’s theory of succession as a starting point to understanding the ecological history of the UK. His thesis ‘Forest History and Grazing Ecology’ is a must read for anybody involved in nature conservation and land management and dispels the populist myth of a primeval forest/ wildwood climax community. It is an environmental tragedy that WDDC approved the PV park at Rampisham. I was the station manager at Rampisham Transmitting station for a number of years and tremendous efforts were taken to preserve the diverse flora and fauna on site. Outside of the controlled access roads to the antennas the land remained untouched aside from routine topping to preserve its unique character. The site was also home to colonies of doormice which I fear have been destroyed in the decommissioning process along with much of the preserved flora. Decommissioning started without any regard to the due process of planning and as such necessary safeguarding conditions could not be put in place. At the planning meeting Ghillean Prance spoke as a consultant for the applicant and his advice is not impartial and should have been treated such. Natural England have no axe to grind other than to preserve this unique environment. A PV park on this site is inappropriate in any event. By its nature the site is far from any major settlement and much of the power generated will be lost in the power transmission lines between the point of generation and the point of use. PV parks are more suited within or near to settlements. Wind turbines generate significantly more power, and not just during the hours of daylight, their footprint is no greater than the antenna towers on site and the grasslands would be preserved. The site is a high plateau with excellent wind speed and wind farm would be a better renewable use for the site than solar PV. Interesting comments here. Not sure I agree with Keith. If he is right I spent 30 years of my working life delivering Government Policy to protect areas like this, so to have that described as naive is a bit insulting to me and many dedicated people. I wont go into the economics of renewables but the amounts of money on offer also seem to attract a fair share of ‘narrow environmental views’ as well. I cannot see how planting a solar farm in open countryside can outweigh the loss of one of Englands rarest grassland habitats particularly where there are acres of roofs all over the place, but then again greenfield site are cheaper……………. As part of this discussion I was interested to see the comments about succession habitats. I am in the middle of preparing a proposal to provide what I call Wildlife Havens. These would be a response to the steepling losses of ‘common’ wildlife in the British Countryside. Basically I am advocating closing off large areas (10ha min – undesignated of course!) and allowing them to revert to semi natural habitat through normal succession. The size is important to provide an undisturbed core area where nature can just get on with it. Succession progression and ‘habitats’ will be dictated by the ground conditions and grazing by deer etc. There would be no public access. The beauty of them is that after initial acquisition running costs would be very small. They could be set up very quickly and would have an immediate impact on local biodiversity as well as landscape structure. Happy to provide more info or send over the paper if you like. Excellent – have you been in touch with Rewilding Britain? No not yet – I am just refining my second iteration of the paper. I am off to Knepp next month to have a look at the work there. I will certainly get in touch with Rewilding as well.